Do you have a great story that you would like to share with millions of people and also earn some money by it? 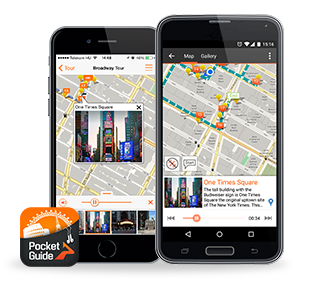 Publish your story in the PocketGuide app! Your Content, Your Brand, Your Style - Our Technological Expertise, Sales Model and Community! Building your own app requires programming skills and investment. Even creating and maintaining a travel blog by yourself is a complicated and time consuming task.Save yourself the hassle, focus on what you are good at, and let us do all the hard work for you! Our platform is tailored to your needs and we assist you in marketing your tour as quickly as you write it. PocketGuide lets you earn money by receiving shares from the net sales revenue after each purchase. You'll be generating revenue every time a user buys your tour. Moreover, publishing through PocketGuide immediately exposes your work to a constantly growing travelers' community, allowing you to reach new audiences and earn more money! How can I publish my tour? We are currently looking for writers who would help us create fascinating, location based audio walking tours. All you need to do is to submit your idea, and if it meets our quality standards, we’ll take over all the hassle of production. Our service is available in more than 150 cities, and the app has had more than 4 million downloads up to this date.